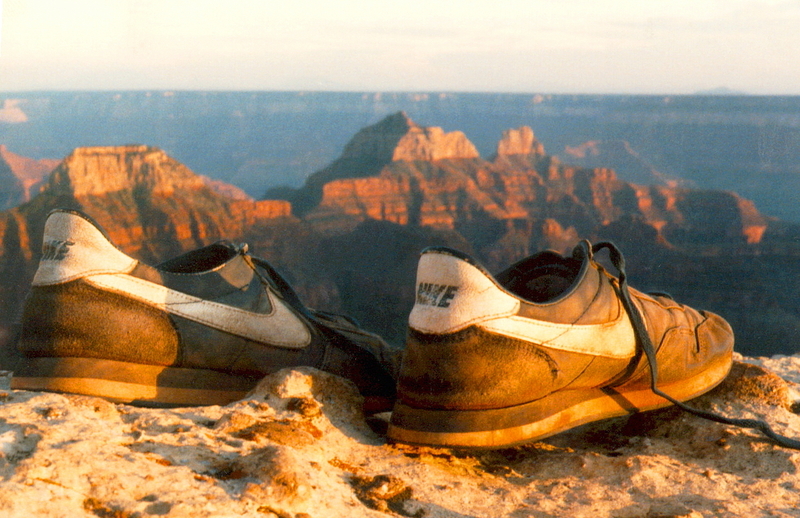 Ranger Hall has left the Mountain, a photo by The Bacher Family on Flickr. Two weeks (to the day) after he was killed in a fall during a rescue on Mount Rainier, climbing ranger Nick Hall finally leaves the mountain in a National Park Service ambulance, escorted by ranger vehicles. Retrieving his body on the Wilson Glacier had been difficult and dangerous due to high winds, heavy snow, and high avalanche danger. On the clear morning of July 5th, a Chinook helicopter from Joint Base Lewis-McChord was finally able to retrieve him and fly him out to Sunrise, elevation 6,400 feet. 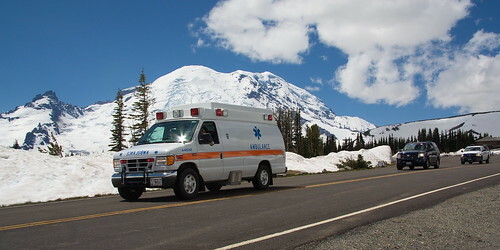 Hall fell 2,600 feet down the Emmons and Wilson Glaciers, starting from a point directly above the ambulance in this photo. The four people he was helping to rescue all survived, in part due to his efforts.